To celebrate International Women's Month we are featuring the women of Funkadelic Studios. Samantha Echo and her music have been described as "somewhere between dangerous and whimsy," (Jack Murray, Unknown Nobodies) meaning that she has fairy wings and a non-threatening babyface but she sings about horrible things; "Dark Fairy Rock" (Jamie Ignao), "Comic Con's Kate Bush" (Janna Pelle) meaning that she has a very high, girly soprano voice and is almost too nerdy to function; and a female incarnation of Morissey (Siv Disa), meaning that her lyrics will bum you out but in a good way. Reared in the South Carolina Lowcountry, Dale Novella is a singer/songwriter, poet and educator who performs and produces events in the New York City area. 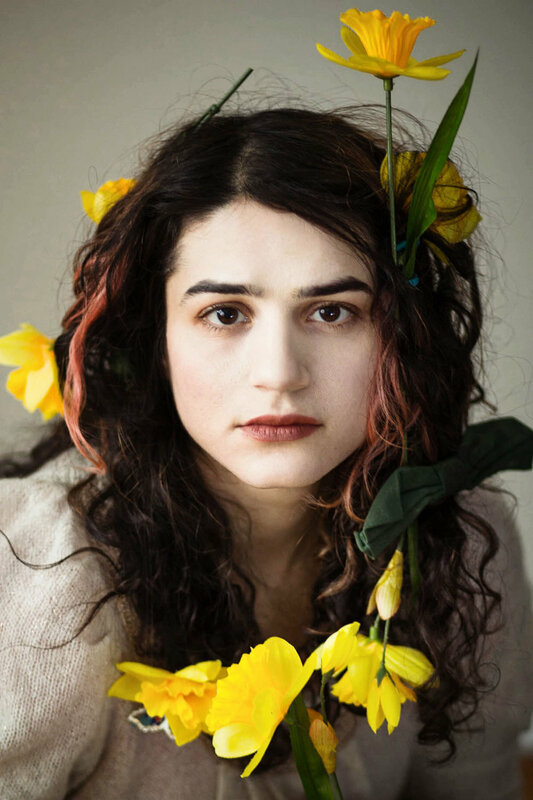 A captivating performer, Novella has graced various stages including The Bitter End, The Bowery Poetry Club, and is a regular at SoFar Sounds. Novella uses her love of music to educate youth in social justice and life skills. She teaches with the DreamYard Project and the Community-Word Project. Dale Novella is heavily influenced by soul singers like Otis Redding, old school Motown, and 90s Rnb and Rock. She christened herself "The Mutron Angel" after hearing an ethereal R&B tune on Outkast's Idlewild soundtrack entitled "Mutron Angel" and performed by Whild Peach. This branding reminds Dale Novella the Mutron Angel to make music that is conscious, authentic, and funky. Novella began The REC Life (Royaltie Entertainment Company) in 2011 to produce and promote music that inspires and uplifts. The REC's flagship event is "The Poet WILL Be Televised" at Funkadelic Studios, a poetry jam session that fuses Dale's loves, good music and soul wrenching poetry. You can find more information about The Poet WILL Be Televised! by visiting The REC Life’s website, www.thereclife.org. Keep up with Dale Novella by following her on Instagram, Facebook and at her website www.dalenovella.com. Jade Zabric released a new single, “Where Have You Been For All My Life?” on Spotify and ITunes this year! She also competed in a Busking competition on the Live.Me app and broadcasts daily so stay tuned for more great music!